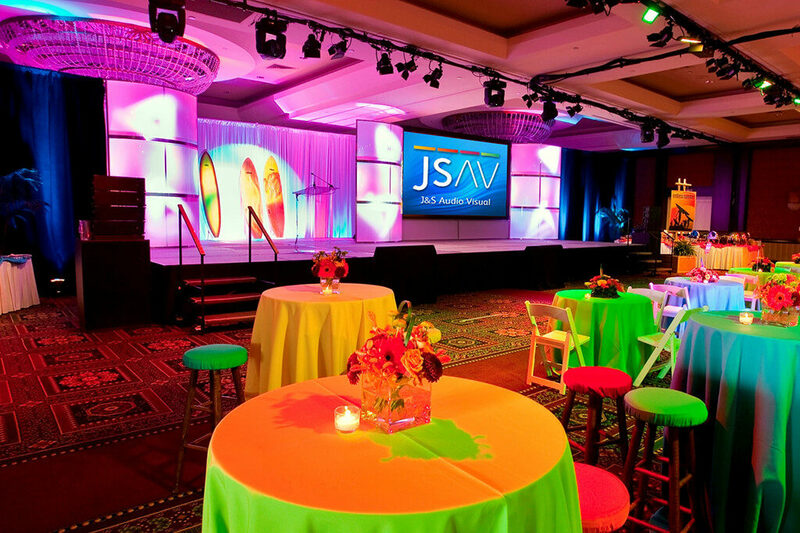 Make JSAV your trusted partner in the completion of your next special event—from a large Denver conference or convention to a mid-sized concert or small board meeting, there is no audio visual job too large or small for JSAV! Let our expert event designers and producers work with you and your team toward the accomplishment of strategic audio, video, lighting, staging and décor strategies unique to your event. Invite our creative services team to assist in the design of the “look and feel” of your meeting space–work closely with JSAV to conceptualize an event theme. When you partner with JSAV, we immediately start concentrating on the numerous details of your event so you don’t have to—we focus tirelessly on what matters most to YOUR clients: The flawless delivery of their content and their message! Experience, first-hand, the JSAV Difference!